Think about your favorite ­­archetype. Is it Sky Strikers? Trickstars? If not, then most likely your favorite archetype is somewhere between Vampires and Dinomist in terms of playability. Not to say these decks aren’t playable, but in comparison to the uber-consistent, board wipe recovering power plays of the top decks, they are… bad. Not to fear! 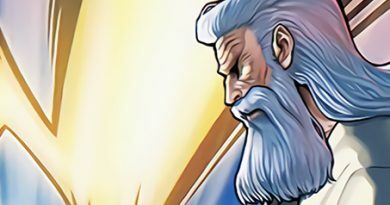 While your favorite archetype might not be topping anytime soon (give Konami ten years, they’ll give them legacy support) we can exploit its strong points and cut everything else in the process of deckbuilding. But first, we should define what distinguishes a top deck from the rest so that we may focus on the positive attributes of bad decks. What can be done, doctor?!? This attribute is the most common flaw of lower tier decks. 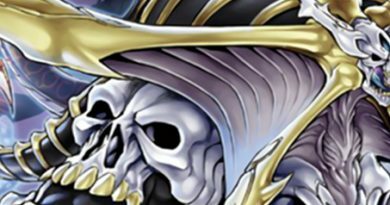 Most otherwise decent decks can create a powerful monster that is difficult to remove such as Raidraptor and Qliphort. A few years ago, it would be acceptable to sit on a defensive monolith and bide for time. There are more easy outs to them nowadays like Kaijus, but the main reason these behemoths are no longer viable are because they let the opponent do whatever they please. A great example of reactive protection is Master Peace, the True Dracoslaying King – may he rest in… peace. Master Peace provides protection for itself, while also having a Zoodiac Drident-esque reactive pop. This comes naturally within the Draco kit. There is no need to add anything extra to the deck that needs to be drawn. A bit more specifically, link decks are starting to abuse their mechanic by creating Extra Links, blocking off the opponent’s Extra Deck. This naturally limits the opponent’s outs without having to go out of your way to do so. 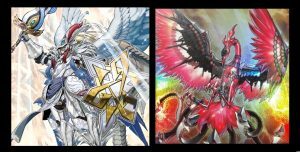 While a little less relevant, Link monsters can’t be flipped face-down, rendering cards like Book of Eclipse and Swords of Concealing Light useless, powerful answers of past formats. Weaker decks will have to rely on hand traps or Trap cards to simulate oppression. This leaves the deck vulnerable when you don’t draw a flawless hand that lets you go off, dodge reactive protection, and have the cards to stop the opponent’s play. While not as prevalent, inability to recover from a bad situation prevents many good decks from being great decks. 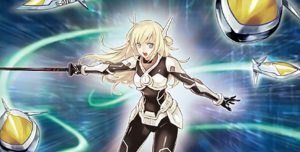 Sky Striker is a archetype that is projected to be one of the best, and is already making a splash due to its plussing and consistency. They rarely need more than one negation, because the current board state simply does not matter to them, since their recursion is incredible. The Pendulum mechanic also provides pendulum decks instant recovery. At minimum, the deck can recover one card for free, provided their scales remain intact. 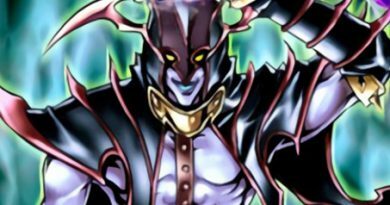 Many Pendulum cards have high utility, such as Archfiend Eccentrick. The epitome of poor recovery is Mermail. It could be argued that it has lots of cards that protect their field like Abyssgaios and Abyss-Scale of the Mizuchi, but if these defenses are shredded there won’t be much left to do. Mermail decks use most of their hand to create their initial board. If that board is broken, Mermails will not have the resources to bounce back. Unfortunately, some decks simply lack the ability to do what they would like consistently. If this is the case, there is a limited amount of generic draw cards such as Pot of Desires that could help. But consistency is a flaw inherent in an archetype, and usually can’t be fixed in that sense. There’s no magic way to make a bad deck competitive in a tournament environment. Even following the steps of this article, your tier twenty deck will still suffer from its downfalls. What does your deck do well? Can it break boards or make boards? Can your deck inflict tons of damage, or stun the opponent? This is what the deck should be focused on, and play cards that can compliment the deck’s goals. For example, a Chaos Max deck would like to end the game as quickly as possible. A common card this format is Scapegoat; if its forced out by removal such as Twin Twisters, then this goal can be reached. Therefore, S/T removal is useful both in helping Chaos Max get on board and complimenting the deck. Usually, the answer to making a bad deck more viable is to overload on stun to help a naturally defensive deck keep its pace, or to find ways to increase damage output to end the game as quickly as possible. The key to improvement is trying not to mimic the all-rounding power of higher tier decks. That will only water down the natural goal of your deck… it would result in worse version of your opponent’s deck. Ritual Beast is a deck that has high combo potential, and not much else. Its bread and butter is its combo that searches two copies of Ritual Beast Steeds. However, the deck is rather inconsistent in doing so, and does not fair well against disruption. Furthermore, even with cards like Called by the Grave to stop hand traps, that is unreliable and at this point we need three cards just to function. Rather than increasing the combo potential of the deck, we should go the other way and bide our time. Many decks nowadays do not main deck S/T removal, and struggle against multiple set traps. Ritual Beast synergizes with this in two ways: Winda is an outstanding defensive wall, and if even a single Steeds can be searched that may be enough to survive another turn. When the opponent is out of resources to effectively fight back, that’s when defensive decks can shine. Vampires are a similarly combo-oriented deck to Ritual Beast. However, the deck is a bit more consistent, only requiring a card like Armageddon Knight to function. If the deck doesn’t create a board, then it has almost no way to naturally protect itself, let alone for several turns. Therefore, our goal with decks like this is to either win via OTK by going second, or surviving going first with minimal protection. Fortunately, the deck can consistently create a Rank 5 monster going first via Shadow Vampire while setting up for later turns. Artifact Durendal is versatile in that it can prevent the opponent from creating a board either by changing an effect to destroy a S/T, or to force both players to mulligan. It doesn’t matter whether your board gets destroyed, because the deck’s goal is to create massive damage from nothing. This doesn’t mean that offensive decks can ignore the ability to break boards. There are many offensive options, such as Interrupted Kaiju Slumber (which synergizes nicely with Vampire’s stealing effects), and Instant Fusion, which can flip monsters face-down, be used for an XYZ summon, or as tribute fodder. Kaijus also disrupt Sky Strikers by placing a monster in their Main Monster Zone. A key function of off-archetype cards in bad decks is that they must serve multiple purposes. These decks need as many resources as they can get with as few cards possible. Unfortunately, not all decks can be good. But we can exploit a deck’s innate ability to be defensive or inflict lots of damage and turn it up to 11 by using cards that simultaneously help the deck get off the ground and to dodge the opponent’s disruption. Get creative! A deck that does not have the attributes to make it top tier can get around those limitations by understanding card game fundamentals and your true win condition. The May 2018 Trinity Cup has come and gone. It was organized through the Trinity Discord (here), and had 25 players. The Top 4 was as follows.